If you are thinking about Zumba this is for you. I started dancing to Zumba about 9 years ago and loved it from the start. I was a regular class goer and after a while and plenty of encouragement from those around me, I became a fully licensed Zumba instructor in 2016. I absolutely love teaching my classes, and I couldn't have asked for a better, nicer, friendlier group of ladies than I have. 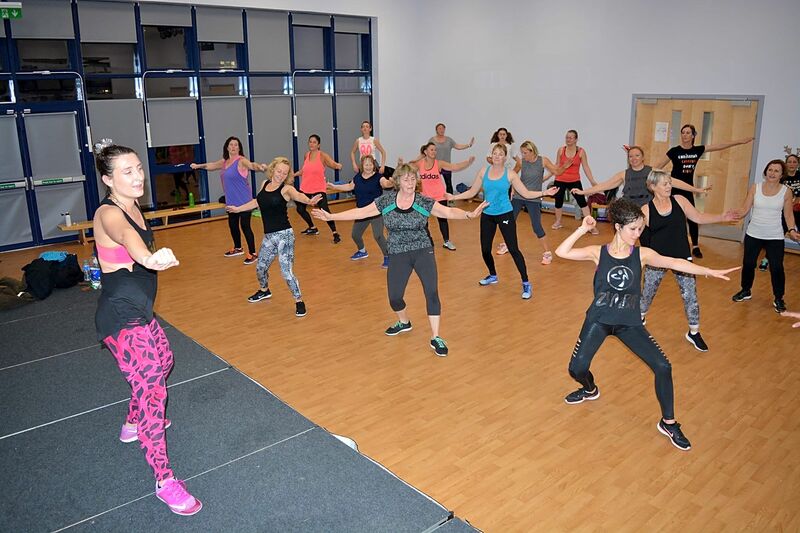 My classes are here to be fun whilst keeping you active, my aim is for you to forget you’re even in a fitness class. The routines are mixed and so are the styles of songs I choose from reggaetón, salsa, cumbia, to what’s current in the chart, perhaps even a golden oldie. There's no pressure to know all the moves and each week you'll find you know more or have perfected a move. Who knows maybe one day you'll join me on stage as some of my ladies like to do.